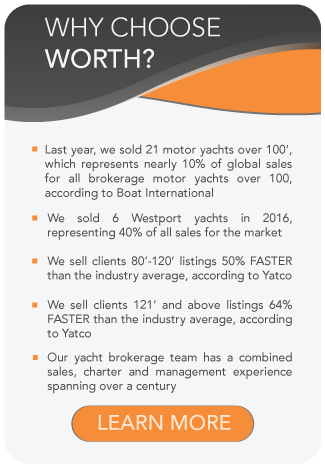 All Moonen yachts for sale worldwide are listed below, scroll down to view them. Moonen celebrate diversity, offering four types of superyacht: Custom-series displacement, fast displacement aluminum, explorer and fully custom. Ranging from 20 to 45 m (65′ to 150′), all their motoryachts share an irreplaceable Moonen quality that has fascinated their clients for decades. The Moonen shipyard’s goal is to bring to life each client’s unique vision of an ideal yacht, while maintaining the distinctively timeless Moonen ‘look’. With a pedigree of yacht-building dating back to 1963, the Moonen fleet is spread around the world. Read here more about Moonen’s history. By customizing each yacht to meet the most demanding expectations, and building in keeping with the grand tradition of Dutch quality, Moonen add value while seamlessly accommodating your sailing lifestyle. Partner with Moonen to share these essential design attributes of seakeeping, manoeuvrability, stability, silence and comfort.